In Gardening with Native Plants of the South, landscape designer Sally Wasowski offers an exciting vision of the many possibilities and advantages of "going native." 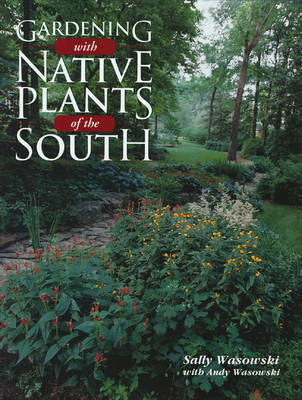 Lavishly illustrated with more than 250 gorgeous color photographs, her book is both an introduction to more than 200 of the most familiar and easiest to find native plants of the South and a basic primer on how to use them effectively. Sally Wasowski is a professional landscape designer and one of the country's leading authorities on landscaping with native plants. She is a founding member and past president of the Native Plant Society of Texas. Andy Wasowski is a free-lance writer, photographer, and broadcast producer. The Wasowskis are authors of the award-winning Native Texas Plants: Landscaping Region by Region and the critically acclaimed Requiem for a Lawnmower.